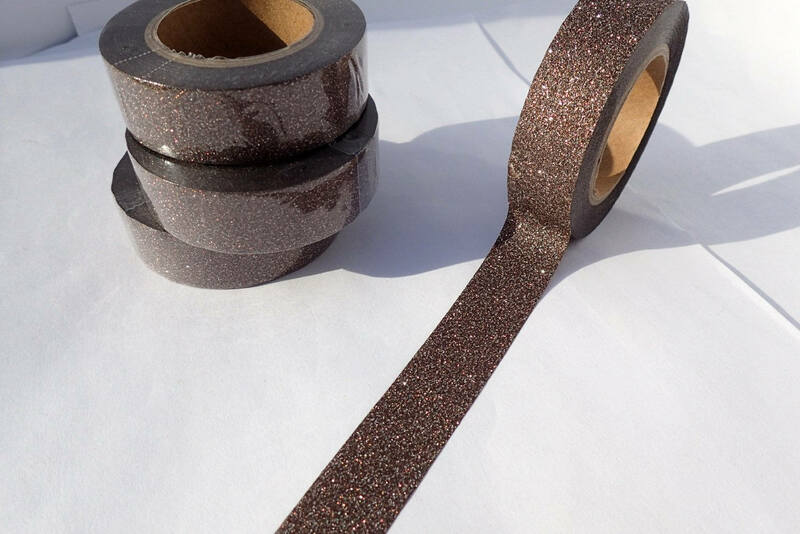 This is a dark bronze glitter washi tape. Fun to use in scrapbooks, mixed media art, paper crafts, and card making. Or decorate your office tools or school supplies. 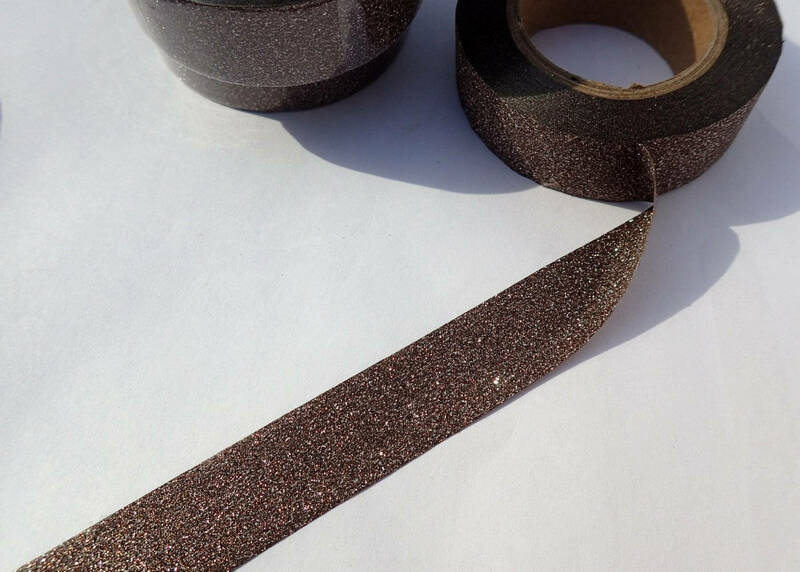 Washi tape can be easily torn by hand and can be written on (though it is hard to write on glitter!). Use it to label items or to leave a quick note. 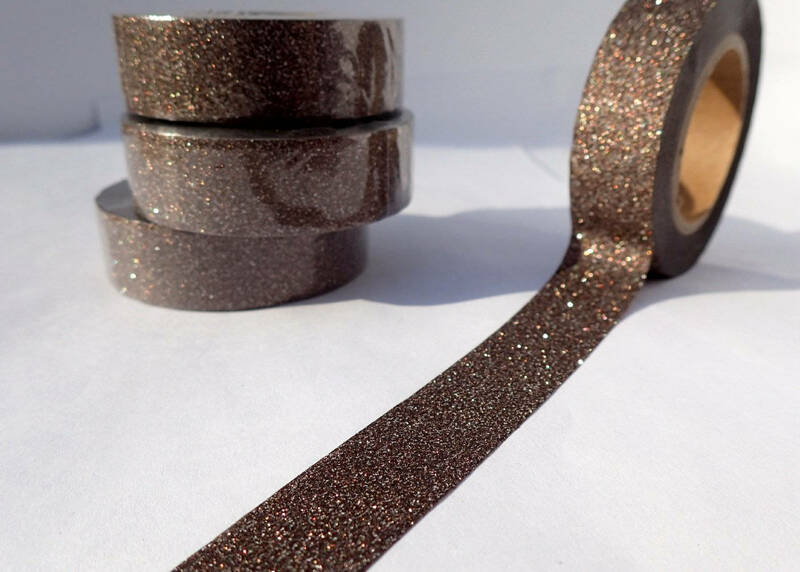 This glitter tape will add some bling to any project! The glitter does not shed. 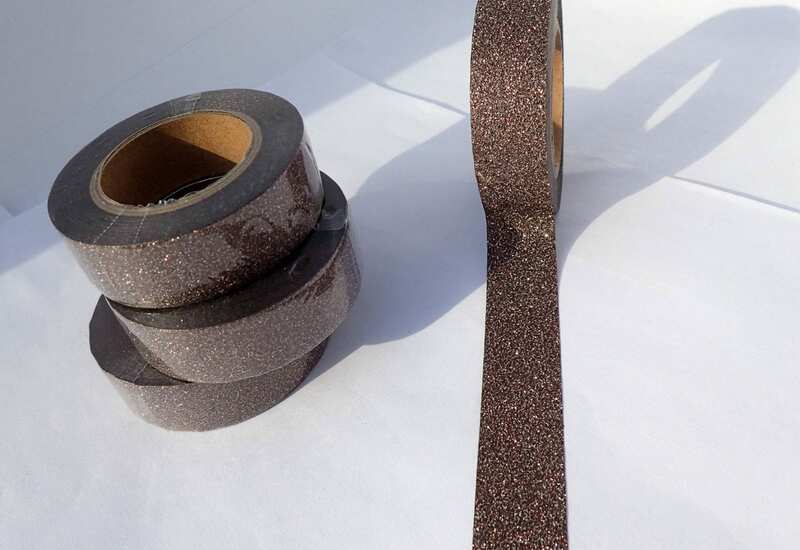 This dark bronze is sophisticated and would add some distinction to your planner page.